Ipoh has international sports facilities to please every sports enthusiasts. Theseinclude the DBI Sports Complex which is the most modern and the largest of its kind in the state. It comprises a 35,000 capacity Perak Stadium, a comprehensive swimming complex, the Sultan Azlan Shah Astroturf Hockey Stadium, the Indera Mulia Indoor Stadium, the Velodrome Rakyat, rugby field, tennis complex and indoor courts for badminton, squash, table-tennis, volley ball, basket ball, sepak takraw and others. It's a great place to spend your free time, especially in the evenings. rombongan pengantin, kursus, majlis konvokesyen, kerja outstation dll. Hidden amongst the lush greenery of Tambun, Ipoh is this latest jewel in the Sunway crown. 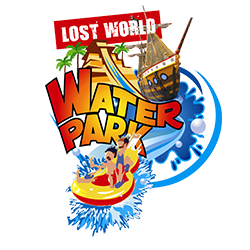 A fully themed water park that appears to emerge from the surrounding limestone cliffs and vibrant jungle - new world of adventure just waiting to be explored. What was once a valley of old has now exploded to life with the river of adventure, raging waterfalls, rushing rapids, majestic cliffs, magnificent tigers, ancient caves and hot springs with ancient therapeutic properties.